Our contractors at Driveway Transformations are professional landscapers and groundworkers. Our hard landscaping service is streamlined and time-saving. With access to some of the best landscapers and machinery, we can transform your area into a surface you can be proud of. 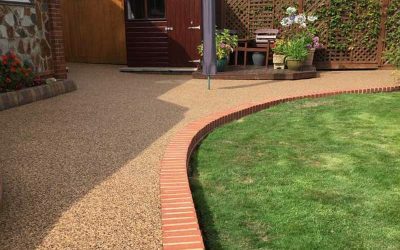 Once prepared, the area can be finished in a resin bound surface or block paving. 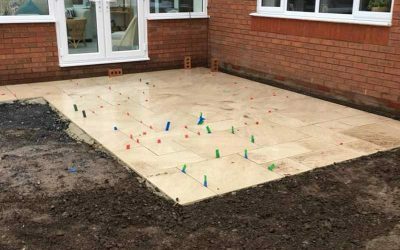 Our experts will make sure every inch of your job is done correctly, from the placement of paviers to the precise spread of resin. Our professional paving and resin systems are suitable for all kinds of properties. Your driveway, path or patio can be revitalised through our services. We can level out any uneven areas to provide the most attractive and long-lasting finish for your surface. Your patio could become a family area to use at any time of year whether it means covering your pre-existing patio in resin or constructing a brand new one from decking. If you are ready to improve your property, give us a call now. We offer a free viewing at your along with a no obligation quote with no hidden charges.